What is an Equity Research Report? An Equity Research Report provides specific recommendations for taking specific investment actions pertaining to specific stocks (equities) in a specified timeframe, generally as of the date the report is published. Such recommendations are represented by specific ratings (e.g. Buy, Sell, Hold) and price targets assigned to each stock that the equity research report pertains to. An equity research report typically contains charts, graphs, and/or a written description of the rationale behind the recommendation(s) being made in the report. 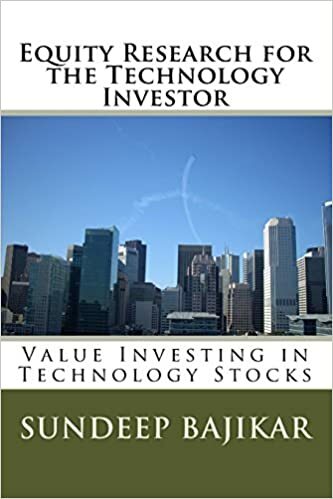 Additionally, an equity research report provides a fairly comprehensive discussion of investment risks, as well as disclosures pertaining to potential conflicts or interest that the creators of the report might be subject to. Equity Research Reports are most commonly issued by Equity Research Analysts employed by (or affiliated with) investment banks or broker/dealers. Equity Research Reports may also be issued by independent firms which are not investment banks or broker dealers, but have established appropriately compliant infrastructure allowing issuance of equity research reports. Publishing equity research analysts may be subject to restrictions related to owning or trading stocks related to equity research reports that the analysts have issued or will be issuing. Issuance of Equity Research Reports is a strictly regulated activity in the U.S.A. and may be a regulated activity in other regions of the world. Regulatory requirements often change over time, and by region. Among other things, regulations may require Equity Research Reports to include 1) a clear recommendation to take a particular action with a stock in a timely fashion, 2) a comprehensive discussion of risks, 3) comparisons with a peer group or an applicable market index, 4) comprehensive disclosures of potential conflicts of interest, etc. Additionally regulations may require the process of producing and distributing Equity Research Reports to adhere to specific guidelines, which could change over time.